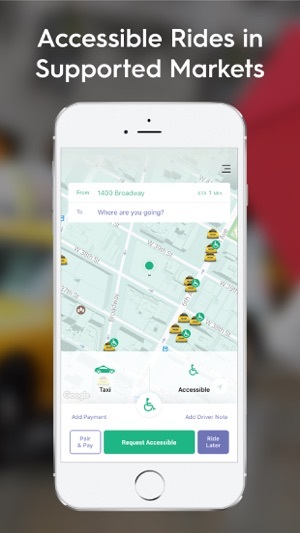 Curb is the #1 taxi app in the US that connects you to over 50,000 taxis with the tap of a button. 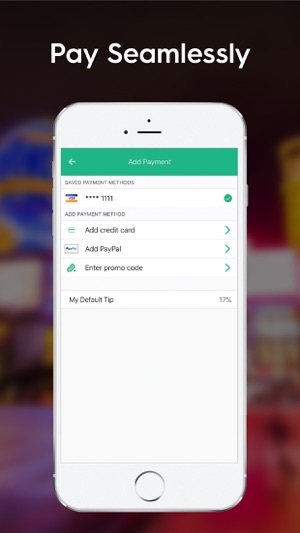 Easily request and pay for rides in 65 U.S. cities, including New York City, Boston, Philadelphia, Chicago, Los Angeles, Las Vegas, Miami, and Washington,DC. Have questions about Curb or suggestions for how we can improve? 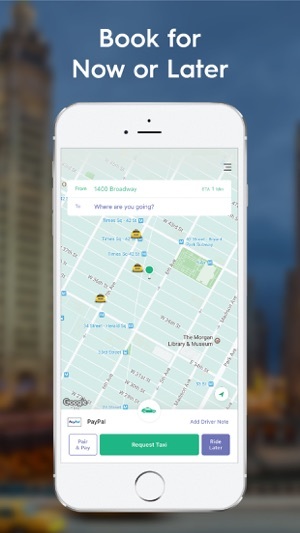 Send your feedback to support@gocurb.com. I have had no issues with Pair and Pay since I’ve been using it. I love that I don’t have to fumble for cash or signatures while all the impatient drivers behind us leans on their horns. My biggest gripe is setting up a new pickup. GPS always suggests a pick up at the neighboring building and often fights me as I try to correct it to my location. Then despite the fact that I have driven to the SAME location 6 times a day for the past two weeks, it never remembers. It offers a few random locations that I’ve never been to before and tries to guess addresses in neighboring STATES. I have to type out the entire address with city before it suggests the closest option. Sure, first world problems, but I’ve been rushing out to the hospital after a family emergency and I could do without the added stress. Lastly, I wish the customer complaint response was faster but that’s more TLC and less Curb. Out of nearly two dozen identical trips, one driver decided to charge an extra $3. Not a big deal but I still haven’t received a follow up. Thanks for your review! Keep riding with Curb and keep the feedback coming as we work to improve the app for the next version. If you have any additional comments, please email us at support@gocurb.com. I will stick to Lyft!!! Last night my friends and I decided to just get in a taxi (a Curb taxi) instead of calling a Lyft to go from Fremont Street to the Wyndham by The Stripe. NEVER AGAIN! I will walk back before I get in a Curb taxi. The driver had no clue where he was going, went the wrong way for at least $10 worth of the ride (got on 15 going the wrong way!).... till someone in my party pulled up a map with directions as he asked us what exit!!! When he realized he didn’t know where we were going he tried to get directions (at least that’s my assumption) while he was driving and dropped his cell phone and proceeded to pick it up WHILE still driving!!!! I lost count of the number of beeps his lane crosser made as he drifted in and out of the lane he was in. He was constantly speeding then suddenly slowing down which made a very jerky ride! I don’t get car sick.... and he almost made me toss my cookies! When confronted at the end of the ride about the going the wrong way he made excuses and insisted on the metered rate. $41 for the worst ride ever! I will take my business back to Lyft, they at least know where they are going, and don’t rip you off! We are so sorry for that experience! That driver's behavior is not acceptable and does not reflect the kind of service you should expect from Curb. Please email support@gocurb.com with the details of your ride. We will follow up with that driver and try to make it up to you. Again, our apologies! 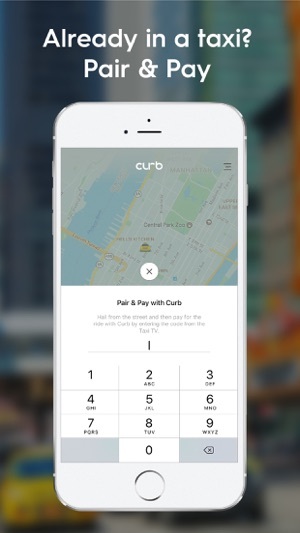 The Curb app is easy to use. If you’re in Manhattan, there are many taxis to be had but not as easy to find in the outer boroughs. The one problem I have had both times I have used Curb as an Access-A-Ride (MTA Para-Transit) Customer is this: the first time I ordered a taxi, the driver tried to gouge me an extra $10 dollars because I am in a wheelchair. The taxi is an Accessible Taxi!! I had to call access-a-ride and have a supervisor tell the driver that the fee for Access-a-ride customers is $2.75 Period and that overcharging is Illegal. The second ride I took, the driver pressured me for a tip. Access-ride customers are not supposed to tip. Someone needs to tell drivers driving for access-a-ride that the fee for all rides is $2.75 and that gouging customers is illegal. Of course, they already Know this because they are trained for the program. I don’t want to have to haggle over an Access-A-Ride fee every time I use the service. Thank you for your feedback. We're so sorry for any inconvenience you experienced with the Access-A-Ride program. We will also be sure to emphasize the rules of the program during our driver training.